Maybe there's a lesson to be learned about the power of editing to convey many different stories from the same material? Or maybe... just maybe!... 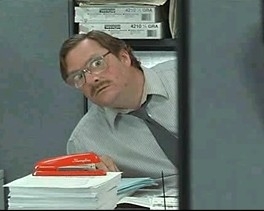 we can all enjoy the inherent creepiness of red Swingline staplers.